promulgation and enforcement of food and drug laws, and regulations. 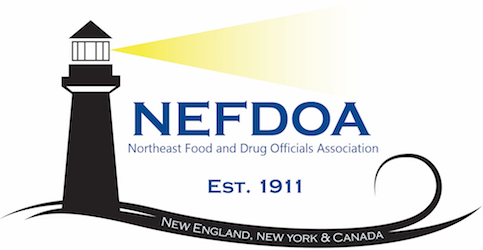 The Northeast Food and Drug Offcials Association (NEFDOA) provides a forum for regulators, industry and other interested parties to discuss regional, national and international food safety and security issues, and the uniform promotion and provision of effective public health and consumer protection services. Furthermore, NEFDOA offers training opportunities, annual educational conferences, and disseminates food safety and security information. The 2019 Education Conference will be held in Northampton, MA at the historic Hotel Northampton from May 14-16. This years agenda includes a wide variety of topics including: CBD and Hemp, Medical Marijuana, HACCP at Retail, Emerging Traceback Technologies, FSMA Implementation, and Produce Safety. Please see the EVENTS page for more information about registration, the hotel and agenda. We hope to see you in Northampton this spring!